Indiana’s Dan Coats is not among Republican U.S. senators who say President Barack Obama should refrain from nominating a Supreme Court justice in the last year of his term. Coats just thinks that anybody Obama might recommend for confirmation by the GOP-controlled Senate is doomed from the get-go – unless that person happens to be a clone of conservative Justice Antonin Scalia, who was found dead Feb. 13 at a Texas hunting compound where he was a visitor. "If the president nominates someone, which is his choice, I think that person would deserve a hearing if that person is not someone that is just obviously nominated for political purposes," Coats said this week in an interview. "My litmus test here is, since we’re replacing a Scalia for justice, that it ought to be somebody who has some adherence to the constitutional position of Justice Scalia to succeed in a Republican-held Congress." Coats said it is a position shared by Republicans and Democrats alike: Either party always wants a departing judge of its liking replaced by "someone who is pretty much along the lines of that person," he said. In this case, an Obama nominee who is not a strict constitutionalist is "dead on arrival," Coats said Thursday. Coats knows the drill all too well. In 2005, between stints in the Senate, he was asked by President George W. Bush to steer Harriet Miers and then Samuel Alito through the confirmation process as possible replacements for retiring Justice Sandra Day O’Connor. Miers withdrew as conservative backlash and senators’ scrutiny intensified, and the Senate ended up confirming Alito. "Due process was not granted Harriet Miers," Coats said after she withdrew, according to The Associated Press. "She had a right to go before the Judiciary Committee, answer questions and let the senators decide and have the American public know what they were getting. She didn’t have that." What’s the difference between Miers not getting a fair shake from the Senate and the initial refusal of many GOP senators to consider an Obama nominee they assume will be too liberal before he even names one? "The difference is it’s not the Democrats that are protesting their president’s decision. 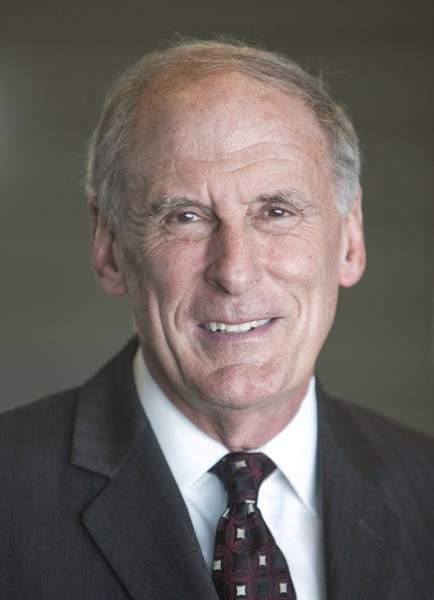 In our case, it was Republicans who were protesting President Bush’s decision," Coats said. "The equivalent of that would be the president nominating somebody that the Democratic Party, his own party, thought would fall short of the standards necessary and perhaps not have a chance to succeed in getting the nomination," he said. In a meeting with The Journal Gazette’s editorial board, Sen. Joe Donnelly, D-Ind., said Monday that Obama and the Senate "have to get on with the work they were hired to do" and begin the process of trying to replace Scalia. Waiting on the next president and Senate to do it, as Republicans have advocated, could leave a vacancy on the nation’s highest court for 18 months, Donnelly said. Obama’s "best choice" for the nomination would be a moderate who might attract support from both parties, Donnelly told the board. Coats said that deferring the choice to the next president and Senate, or even to the post-election lame-duck session of the Senate, would provide "a real litmus test of where the American people want this country to go" politically in the wake of this year’s elections. Coats, who is not seeking re-election this year, said he would not abstain from voting in the event that an Obama nominee for the court makes it all the way to a confirmation vote on the Senate floor while he is in office. "I have already publicly said if my position is not upheld" on the nomination of a conservative such as Scalia, "I will then move clearly to the criteria that I have used in the past," he said. Coats said he would judge the nominee by that person’s "experience, the consistency, the record, the character, the judicial temperament and the position on the role of the Constitution as it applies to the Supreme Court."